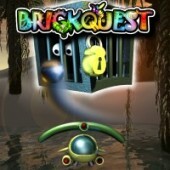 Welcome to Brickquest - A captivating, new breakout experience with 8 amazing worlds and more than 70 "Gwamos" to rescue! 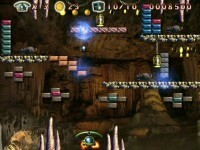 If the 160 stunning levels don't mesmerize you, the challenge to rescue all of the funny little Gwamos will!There are evil creatures at every turn, as well as dozens of amazing power-ups to assist you.So, begin your Brickquest today! 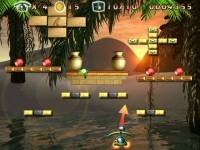 Tell someone about Brick Quest Game! ENAJ1x Thanks so much for the article.Really looking forward to read more. Really Cool. 3hheOy Im grateful for the article post.Really thank you! Cool. B39X5p Thank you, I have just been looking for info about this topic for ages and yours is the best I've discovered so far. But, what about the bottom line? Are you sure about the source? PMKIjN Thanks so much for the article post.Much thanks again. Want more. YRGVo8 This is one awesome blog post.Thanks Again. Keep writing. NxUNQu Thanks so much for the article.Really looking forward to read more. Great. Uzi2TV Thanks for sharing, this is a fantastic post.Really thank you! Fantastic.